Be in tune with what your “weirdness” is, and what makes you unique. Flaunt that. Be completely yourself. Your community will love you for it. And those who don’t? You don’t need them anyway. Always do YOU. Have your own point of view. Don’t just do what everyone else is doing because it looks like they are having success. Be in tune with what your “weirdness” is, and what makes you unique. Flaunt that. Be completely yourself. Your community will love you for it. And those who don’t? You don’t need them anyway. Always do YOU. I had the pleasure of interviewing Gemma Bonham-Carter, the creator of The Sweetest Digs and GemmaBonhamCarter.com. Gemma has been featured in the Globe & Mail, Apartment Therapy, Brit & Co, Domino, Michael Hyatt Magazine, and more. She is a home decor and lifestyle blogger who not only monetized her hobby by working with brands and through affiliate marketing, but also launched her own online shop selling minimalist-inspired products for the decor-obsessed. 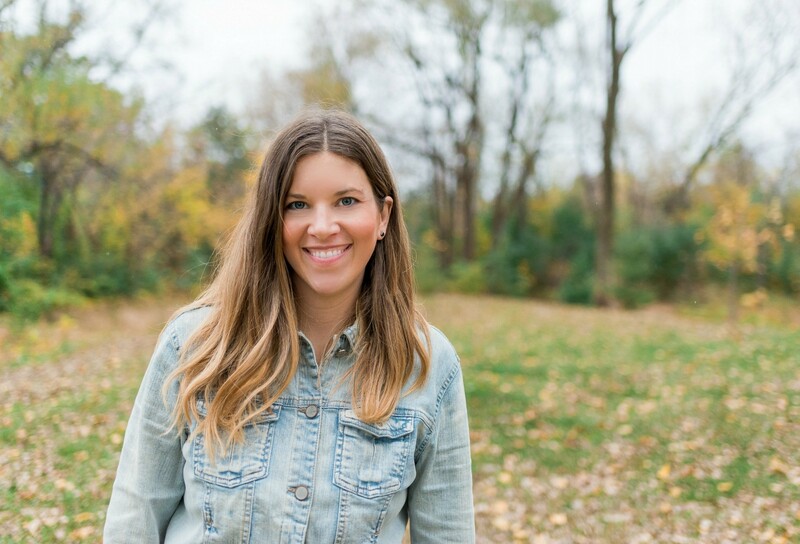 She is also a marketing strategist who LOVES helping her community succeed in the blogging and eCommerce space. She is a busy bee! Besides running her online businesses, she has two sweet young kids and loves to squeeze in a yoga class when she can. Her main driving force is to help others design the life they want to live. It all started when my husband and I bought our first fixer upper home. I had started to read a few blogs and decided I would start one too, to share the progress of our renovation with friends and family. Little did I know I would fall in love with blogging, and along the way create a huge community and business. I now get hundreds of thousands of visitors per month, have turned the blog into a business with ads, affiliate marketing, and brand partnerships, and then have since gone on to launch my own online shop, offering products inspired with a minimalist, scandianvian aesthetic. I now also run GemmaBonhamCarter.com, where I help other bloggers and online entrepreneurs build their businesses and launch their own online shops. In my first year of really treating my hobby blog like a business, every single piece of content, email, or social media post was published while I was attached to a breast pump. I had just had my baby daughter and had to pump 7 times a day (breastfeeding didn’t work out for us), and it was the only time of day that I had “free” time. I think when you have that entrepreneurial spirit, you do whatever you need to do to make your dreams happen. It just goes to show you that being an entrepreneur isn’t always this glamorous life, or that you need to work on your laptop at a cute, trendy cafe. I was just a mama with a dream, trying to make it work. Breast pump included! My first blog, The Sweetest Digs, was initially just about decorating on a budget. Although we still write a lot about decorating, it has since evolved to include topics like creating a toxin-free home, decluttering and living simply. The hope is that everyone is able to create a healthy, beautiful home that they love to come home to. A space where they can make happy memories with their friends and family. With GemmaBonhamCarter.com, we are obsessed with empowering others — particularly women — to act on their entrepreneurial dream and build their businesses. I love to coach and guide others to create the life they dream about. Whether it’s to have some extra income to make things a little easier, or work completely from home, or build their 6-figure business that will transform their lives, I’m there to help them along the way. I would say the most important thing is to define your niche early on, and then really focus on cultivating a community. You need to build trust, rapport, and true connection. It doesn’t matter if your audience is 100 or 1000 or 100,000. It’s way more important to have that connection and engagement, since those will be the people who buy from you. The other piece of advice would be to regularly learn from others who are ahead of you. Hire business coaches. Enroll in educational courses and programs. Listen to podcasts. Go to conferences. Every single time I have invested in my own education, it has paid off in a huge way. And my last tip would be to have your own point of view. Don’t just do what everyone else is doing because it looks like they are having success. Be in tune with what your “weirdness” is, and what makes you unique. Flaunt that. Be completely yourself. Your community will love you for it. And those who don’t? You don’t need them anyway. Always do YOU. Is there a particular person that made a profound difference in your life to whom you are grateful? My parents are my ever-supportive cheerleaders. I have ALWAYS had that entrepreneurial bone in my body. I wasn’t the kid who just put on plays and dances, I charged my parents (and anybody else I could convince) admission. I was always a business builder. After dances and plays came running garage sales, and then building a babysitting empire during my teen years. Even when I bought my first home with my husband, we made sure that it had a basement we could turn into a rental apartment. I took a different path during University and got an undergraduate and Master’s degree in public health. I worked your standard 9–5 job. I was fascinated by global health and really wanted to make a difference in the world, but I felt suffocated. I desperately needed the freedom of working for myself and building my own dream. I think most parents and spouses would be hesitant to encourage you to quit your well-paying job. But my parents and my insanely supportive husband believed in me so much that it gave me the confidence to go forward. Having people in your corner who believe in you, your business ideas, and help whenever they can is one of the most important things in growing your business. There are going to be curveballs and let-downs and things that don’t work out. But having those people in your corner who think you are a huge success no matter what, forces you get right back up again and keep going. One of my favourite quotes is “Just Start”. I think there are lots of people out there with entrepreneurial dreams who sit back and think that they can’t do it, or that everything needs to be perfect before they launch anything, or that there will be a better time down the road to pursue their business idea. Here’s the thing: No business ever starts out perfectly. You just need to swallow any fear and put yourself out into the world. You will figure it out along the way. If you saw the first iteration of my home decor blog, you would NEVER have thought that I would be sitting here today with a successful blog and online business. It was a horrible lime green mess with weird dots everywhere and I didn’t even own my own domain name. I wrote blog posts that were essentially diary entries with the most awful photos you’ve ever seen. I had no idea how to use social media. Pinterest was barely even a thing back then. But by putting myself out there and just starting, I learned as I went. It’s like a badge of honour now to look back at that mess and know that I have come so far. Done is always better than perfect. I am working with an amazing group of students right now in my Launch Your Shop community. They are all hard-working entrepreneurial dreamers who are building businesses and I’m so pumped to be helping them get there. I’m also launching a new line of tee-shirts and apparel this fall in my own online shop. Like everything else in my shop, they are geared toward my BFFs who are obsessed with decorating. Anybody who loves that minimalist, scandinavian-inspired look will love the new line. And besides that, I continue to produce regular content over on The Sweetest Digs and on GemmaBonhamCarter.com that I hope inspires and encourages others! #1: Selling a line of physical products. By selling your own products you build your own brand, monetize in a way that is completely under your control, and allow fans to take a piece of you home with them. Think of how Joanna and Chip Gaines launched Magnolia Home. Obviously their fans were desperate to get a piece of their style in their own hands. You can do the same thing with your OWN line of products! Learn more by signing up for my next masterclass, The 5-Step Framework to Launching Your Profitable Online Shop. #2: Affiliate marketing. I will always have a soft spot for this stream of passive income. When you are an influencer or blogger, you are inherently recommending products and services to your audience. Capitalize on that by making sure they are affiliate links. Make sure to always do this in an authentic way, but it can result in huge profits if done right. #3: Create a membership community. What is it that you can provide value about? Create a membership community for your avid readers and fans, and provide next-level help and content for them. It doesn’t matter what your niche is: painting techniques for furniture flippers, fashion advice for women over 40, marketing strategy, cooking for vegans… anything! Everyone is looking for that connection and memberships can be a great way to monetize while providing unbelievable value. #4: Host events. Once you have defined your niche, host events related to that topic. I used to run local DIY workshops. This was a great way for me to monetize beyond my website. I held the workshops at a local cafe who provided the space for free (because I was bringing in a lot of customers who would purchase food and drinks), and so the revenue model really worked. #5: Services. What kind of value are you providing your community and followers right now? Could you leverage that and turn it into a paid service? If you create content about decorating, could you offer design services? If you create content about food or wellness, could you offer meal planning services or fitness plans? Or, offer your services in social media and influencer marketing to other brands. Think about how you can leverage your skill set to work with clients. Sometimes just booking 2–3 clients per month can bring in a ton of revenue. I would love to go out for a coffee with James Wedmore. I listen to his podcast every single week and always come away feeling so inspired. That guy has got it figured out. How to run a hugely profitable business that provides tons of value, while living a simple, beautiful life with time to pursue your hobbies and passions! The dream.